My philosophy for Ostomy Services and my approach to patient care centers around you: The patient. I've been practicing ostomy care for 19 years, and my mission is to be visible and accessable to people with ostomies of any kind. Undoubtedly, you have experienced the toughest situation in your life, and are facing unexpected challenges and a change in lifestyle with your ostomy. Once you establish care here, you become the most important part of your new team. It's this team philosophy that helps you get better, both psychologically and physically. Together, we will face your challenges with a "glass half full" outlook and unending encouragement. 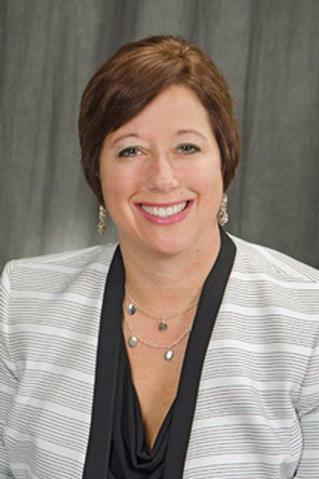 Virginia Hanchett is the Program Director and Nurse Practitioner in the Ostomy Center at the University Of Rochester Medical Center in Rochester, New York. She has greater than 19 years of experience in the field of Wound, Ostomy and Continence Nursing (WOCN), and over 15 years experience in the field of medical dermatology. Her specialty is in management of ostomy patients with complex medical dermatological diseases such as psoriasis, blistering disorders and pyoderma gangrenosum. Ms. Hanchett earned her Associate degree in Applied Science from the State University of New York at Morrisville, Bachelors from Alfred State University and her Master of Science in Nursing Administration from St. John Fisher College. She furthered her training in Wound Ostomy Continence Nursing at the New Mexico School of ET Nursing in 1999 and received a post-master's Family Nurse Practitioner Certification from the University of Rochester School of Nursing in 2003. She holds a national certification as a Dermatology Certified Nurse Practitioner, Certified Ostomy Care Nurse, Certified Wound Care Nurse, and is nationally certified with the American Nurses Credentialing Center as a Family Nurse Practitioner. She has proudly been employed at the University of Rochester Medical Center for more than 30 years.